Multi-disciplinary, genre-blending artist Dizraeli, unveils his powerful new single ‘Madness’. 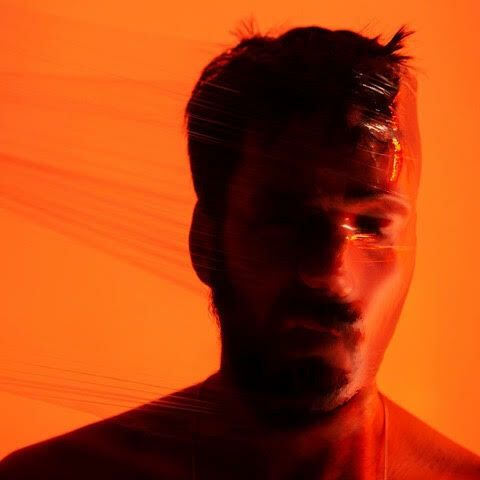 The new offering is taken from his upcoming album, ‘The Unmaster’, which anticipation has been steadily building since the launch of last year’s successful Indiegogo crowdfunding campaign, its inception and completion span a period of two years, during which Dizraeli experienced a mental meltdown. An unsettling anthem for troubled times, the song’s howled and wordless chorus juxtaposed with its uptempo verses - signed by Dizraeli’s distinctive live drums and synth bass groove - narrates a poignant and painful insight into human anxiety. Playing every single instrument on the track, Dizraeli’s vocals are doubled up by singer Leonie Evans’ soprano range, while critically acclaimed musician Ewan Bleach’s clarinet solo wouldn’t be out of place on ECM Records Reto Bieri’s ‘Music for clarinet solo’. Having composed the soundtrack for the E4 drama Tripped’ on E4, won the BBC Poetry Slam Championship, Dizraeli is known for his work with spoken word artists Kate Tempest and Scroobius Pip. His music has seen support from the likes of The Skinny, Evening Standard, Songlines and Pop Matters, with plays across all BBC Radio stations. Hosting his own monthly show on Soho Radio, Dizraeli is no stranger to interviewing other musicians, he recently went to Mongolia to record a documentary for BBC World Service where he met the country’s hip-hop pioneers to hear about the music scene shaping the country’s future. ‘Madness’ is Dizraeli most striking single yet. And with a new album coming out in the summer, a live gig-theatre experience funded through the Arts Council England award, a full live band tour in autumn 2019, the new single is set to cement his status as a bonafide artist.